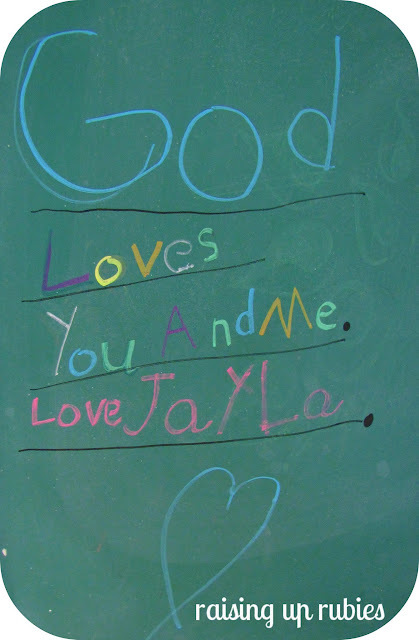 on this little blog, to share & encourage...so here we go! then say "look honey, you could soooo do that right?" these too should be labeled, or maybe numbered? i could do a whole separate post for all the inspiration! ...but it's all fun stuff! What the what the what???????? 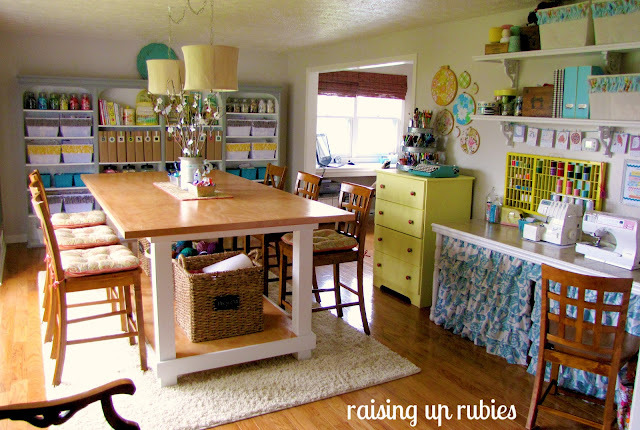 I do believe this is my absolute, hands down, most favorite ever craft room I have ever seen! I'm so not kidding! I think I need to share this with others!! So many incredible details...some I might steal since I'm currently working on my own craft room. But it is not even CLOSE to this rockin awesomeness! I need to come back and look at it again. So can I feature you? 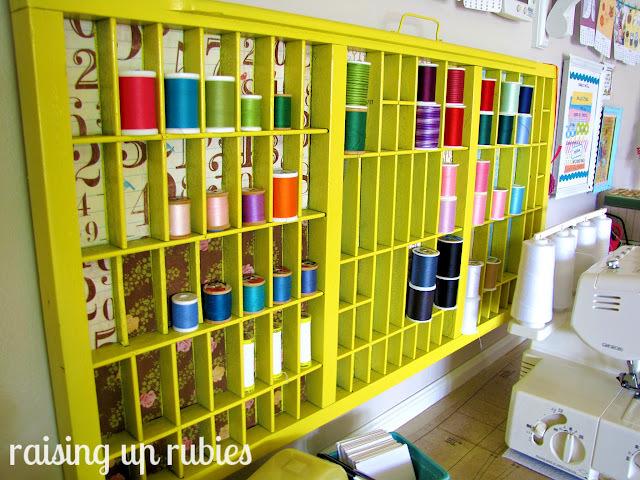 Seriously, this beyond the craft room of my dreams!!!!!! 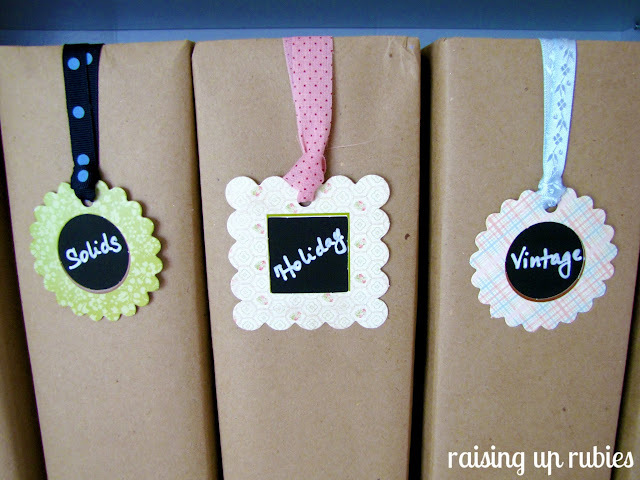 Hi... Love it gives me some great ideas... always looking for ways to organize and make my scrap room pretty... thanks for sharing. Ok, I was going to leave my own comment, but you have said it all for me! I am extremely jealous of this room right now! Jaime, I will come over and craft with you any day, any time...pretty please? anytime!...thanks girls ♥ i'm glad you like my space! these people said it all. hands down...best craft room I have ever seen. I am trying to organize my craft room now. I just don't have the right kind of storage. thanks for the inspiration. WOW that is SO darn cute! I would love for you to share this (and any other house projects) at my "May House Par-tay" at www.cheapcraftymama.com! 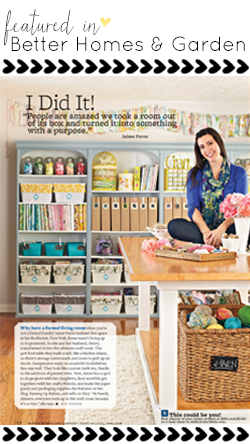 I am so jealous, your craft room is amazing!! There is so much eye candy - I can't wait to dissect these photos! This room is absolutely stunning!! So much so that I am your newest follower!!! Our spare room which was just hours away from being complete may end up a little differently now.... we shall see! Trust me it may cause my husband to cringe because graduation is only 2 weeks away and I am trying to finish ALL projects before then! Once again absolutely stunning room and such an inspiration!! SHUT THE FRONT DOOR!!! This is soooo awesome!! Can I come over, I don't care if I have to drive across the United States! I just want to sit at your table and stare at all your amazing crafty goodness. Can we be best buds? 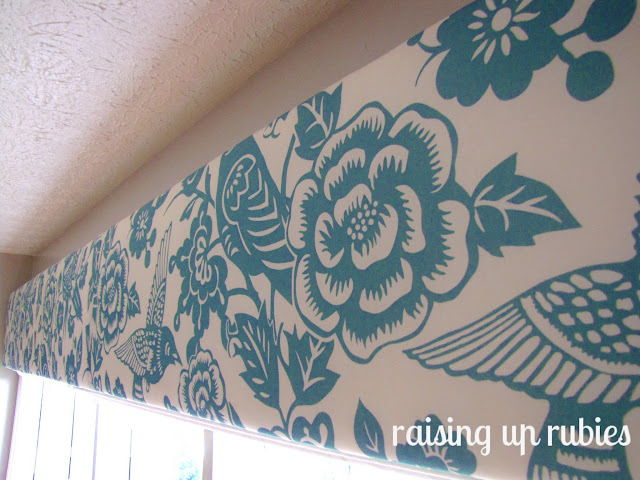 This just makes me want to hurry up and finish my craft room! I am happily your newest follower!! Can't wait to see more! i'm in absolute LOVE with every single little detail from your studio - I'm just beginning to revamp mine and you've inspired me sooooo much! so glad I've found your blog. 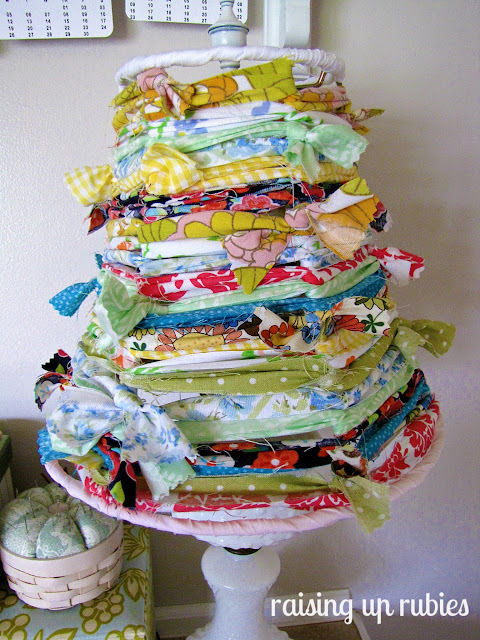 I must find a turquoise vintage typewriter and hoop up some of my vintage sheet fabric! Right Now! What a happy kid friendly space you have! You are truly blessed! This is so great! Could you tell me what the dimensions of your room are? I'm thinking of converting my dining room into my studio office, but I'm terrible at guesstimating space and scale for a room. Your room is fantastic. You and hubby did a terrific job that I find really inspirational! Cheers! thanks for sharing - your space is truly cool - just became your newest follower...be back again soon. this is the cooooooolest craft room!!!!! LOVE LOVE LOVE it...Jess sent me : ) just because your newest follower : ) hugs! This craft space is beyond amazing. I love everything!!!! It leaves me speechless!! 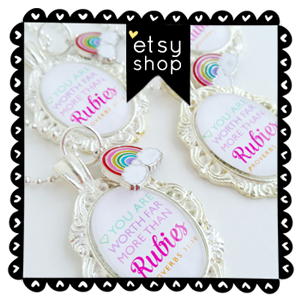 hi :) found you via Two Shades of Pink & love, love, love your crafty style! 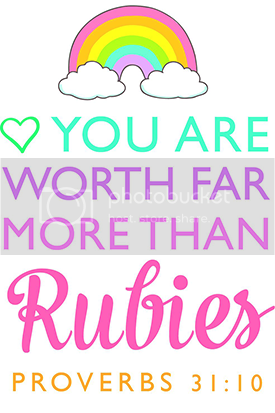 and your blog name (my youngest daughter is a Ruby). Nice to meet you & thank you for sharing your loveliness with us! This room is just so perfect! 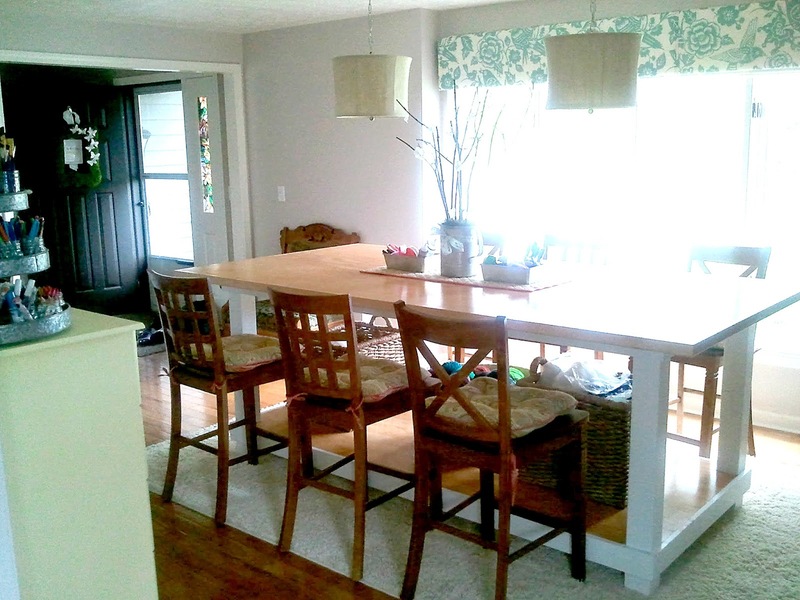 You did an amazing job on it and I adore the table you sew on. Lovely idea! This is such a great room! I love all your organization!! I'd love to hear more about how you organized each area..what a great room. I am just trying to make a craft cupboard, but much of your "big scale" things I can get ideas for my small scale crafting! Great job! 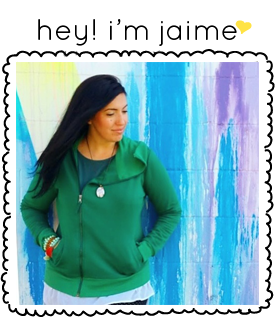 Hello Jaime, just found you on Pinterest (following) and signed on as a Friend to your beautiful blog! I'm am just speachless over your craft room and how well organized and BEAUTIFUL everything is! Loved your idea of putting a dress pattern on your sewing table, ruffled fabric baskets are great for storage and so pretty! Wow! So many ideas! Thank you so much! Love your craft room. I got so many ideas. Thanks for sharing. My scrapbook room is so full and disorganize I don't scrap any at home any more. Hope to redo it soon. Thanks for all the neat ideas. Wow!! You and your hubby and dad are quite a team!!! There are so many wonderful ideas in your space...thanks so much for sharing. I wish you many years of enjoyment in your fabulous space! Amazing! I love the colors you chose! 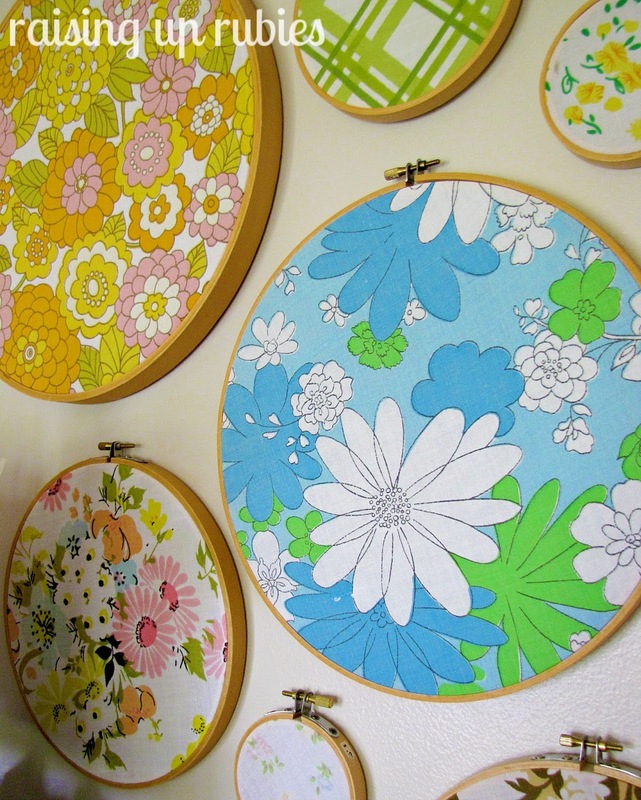 And mod podging the pattern on your sewing table= genius!! You did such a great job! This craft room is AMAZING!!! 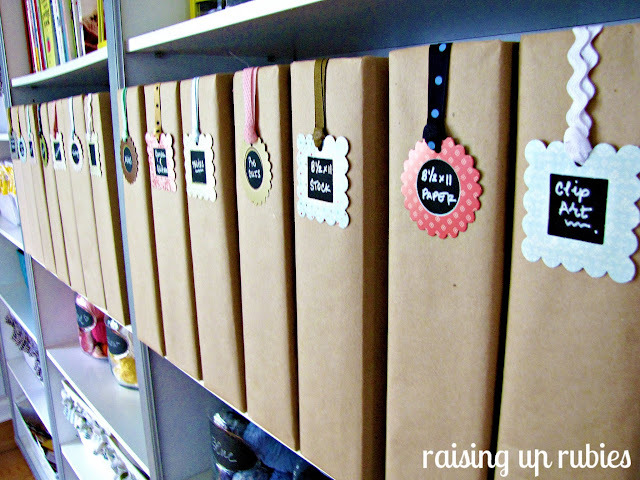 I love the colors & all of the organization!! Brilliant!! Saw the link on Two Shades of Pink's FB page & now going to share on mine!! So gorgeous! 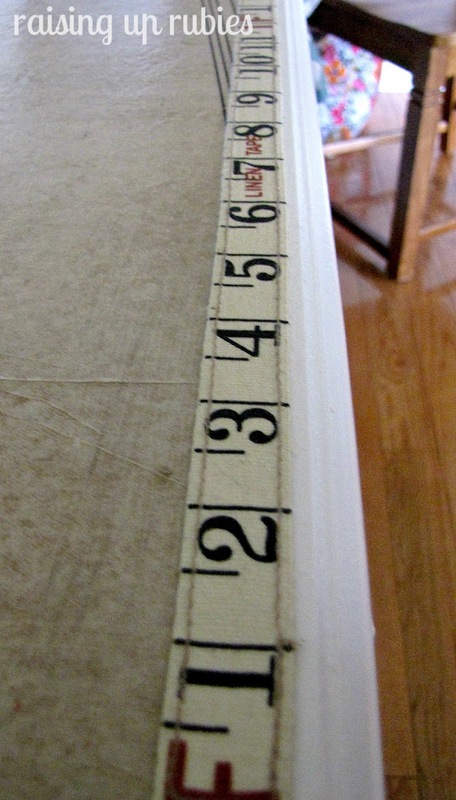 I am in love with the pattern-tape measure table top. But really everything is just perfect! Really, really beautiful! I love every detail!! Thank you from all of us out there that dream of having a room like this. You give us hope. :) I love your style and enjoy your room! What is ur name on pinterest? Looked under the obvious but couldn't find u.
oh! the link to my boards is right up in my sidebar...it'll take ya right too it...enjoy! Oh this is so fantastic! I am pinning this to my own studio inspiration board and can't wait to check out yours :) So organized and yet artfully done with lovely thoughtful touches throughout. I love the giant chalkboard wall with the pennant banner...who am I kidding I Love EVERYTHING! I got really excited when I saw the complete family sewing book on your bookshelf. I have the same book thrifted a year ago (someday it will actually teach me to sew). Such a beautiful space thanks for sharing it! This is truly beautiful! My hubby and I are in the process of buying a house where I will finally have my own craft room. I'm definitely taking notes. Thanks so much for sharing this! I love all of the vintage touches. Absolutely stunning! I don't even know what to comment on first! 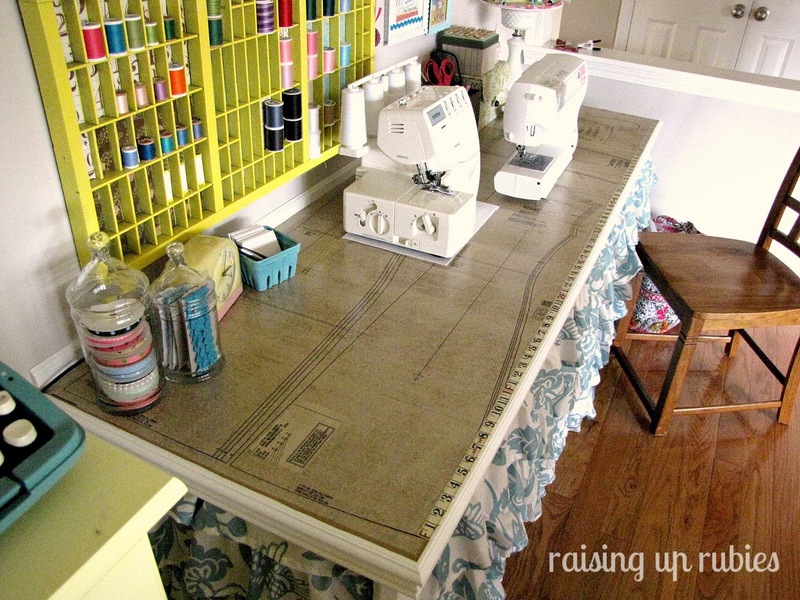 Ok, let's just chat about the sewing table top for a moment... genius! Your craft room is amaaaaazing, and I featured it today. Thanks for the inspiration! 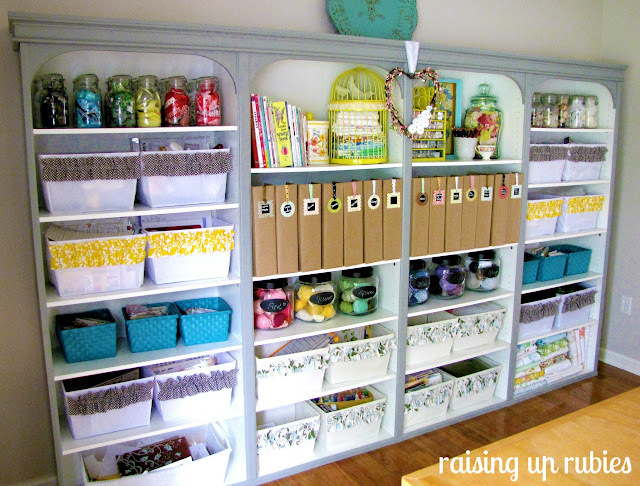 OMG this is THE most amazing craft room I have ever laid eyes on. You are an amazingly talented lady! I'm going to have to pinch a couple of your ideas methinks lol. I'm not really a fan of banners but I love your one. The table is a masterpiece, I would never have thought to do that. 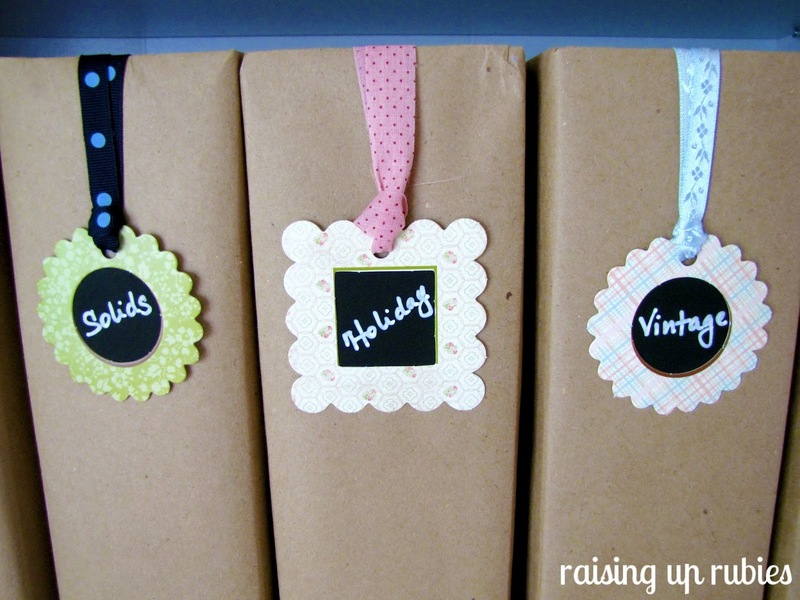 My craft room is due for a spruce up (it's completely bare) so I hope to incorporate some of your vision. Did you pre-plan all of this or make it up as you went along? I'm your newest fan and will be watching your space in awe! WOW! First off, I am turning green with envy. . . What a beautiful space! You and your husband are incredibly talented to have created it. 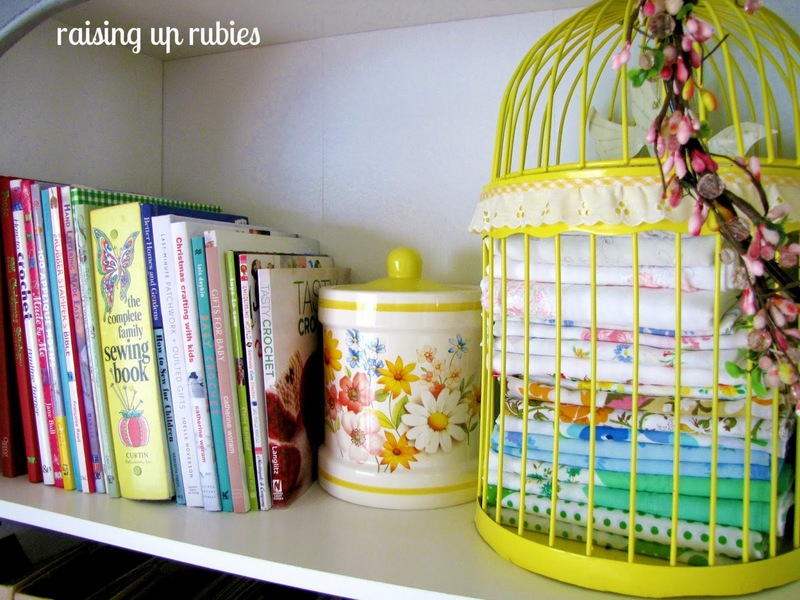 I don't have a spare room for crafting, but if I did, I would want it o look just like this! 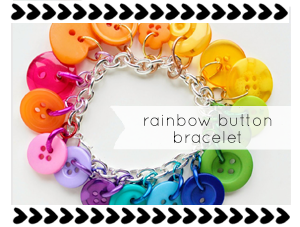 Iam your newest follower and I see a very bright future for your blog and your Etsy shop! I knw you are new to blogging, PLEASE consider turning off comment moderation (those strings of letters or numbers we have to type in to leave ya a comment!). I know I don't usually leave a comment if I have to do it, it is just too time consuming, and I think you will find many others feel the same. You can always choose not to post a comment if someone leaves spam or something inappropriate. Thanks! Wow! This room is more than amazing. My family and I just moved into a new home (my blog inactivity is really starting to creep up on me) and the basement is going to be my sewing and crafty goodness area. That table alone is enough to make me drool. I have a ton of obsticles like ugly blue cement walls, harsh lighting, exposed beams (not the pretty kind) and possible flooding...but I am determined and your beautiful room has motivated me! Thanks and I look forward to following along. Can I borrow your husband for a while?? Stunning! Absolutely stunning!!! Wow. First... ADORE the name of your blog! How wonderful is THAT!!! Two... Hands down the BEST craft room I have EVER seen! How in the world do you work in there??? I'd be afraid I'd mess it up! LOL! Absolutely gorgeous! You are beyond talented and I'm now following. Can't wait to see what else you do! This space is INCREDIBLE! So bright, colorful, functional, and fun! I would like to come over for a girls' night, too! I think this is the MOST AMAZING craft room I have EVER seen!!! Cudos to your hubby for all his handiwork as well!! 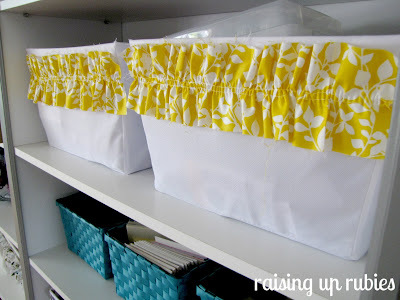 I just want to leave work right now and get home to work on my alreay-started craft room. 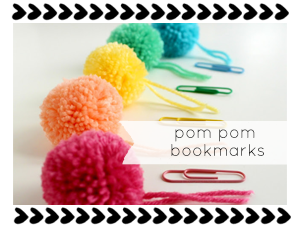 I have bookmarked your page to come visit often! Thank you so very much for sharing your super-duper wonderful ideas!!! 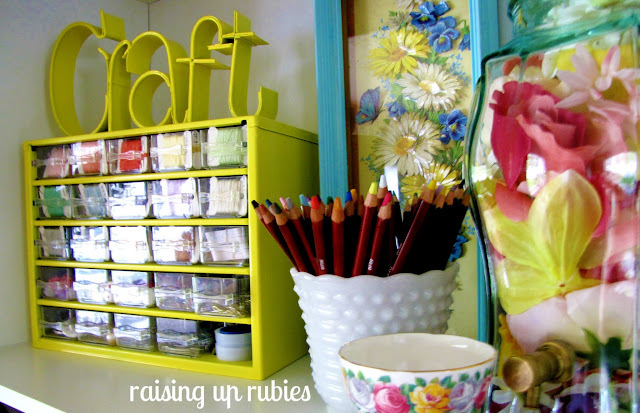 Congratulations on designing a great craft room- it's bright, happy, and organised. Thank you for the inspiration! Such an amazing room, love all the vintage details! Donna's right - you are off to an amazing blogging start!! Welcome to the blog world!!! I was wondering about the bins as well. Love all of this! Such a beautiful, beautiful space! WOW...I am inspired to create just looking at your room...much less being in there ! Thanks for sharing with us. 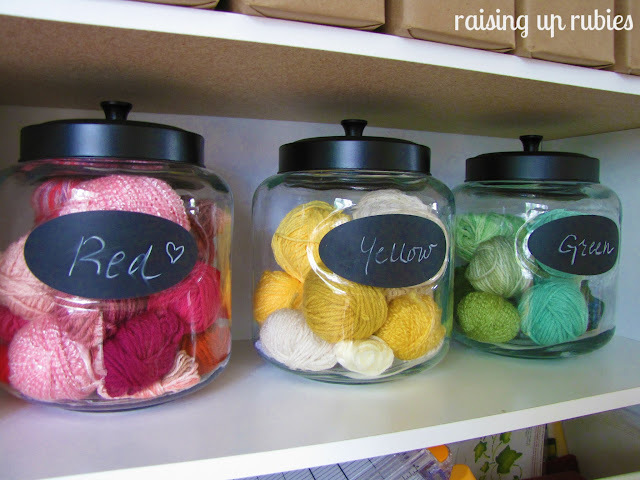 I would love to know where you purchased the black lidded jars w/ chalk labels that contain balls of yarn....thanks again for sharing your utopia! FAN-TAS-TIC!!! So many goodies. But I especially Love that table with the dress pattern top. Pinning! just blown away by your space! Great work! 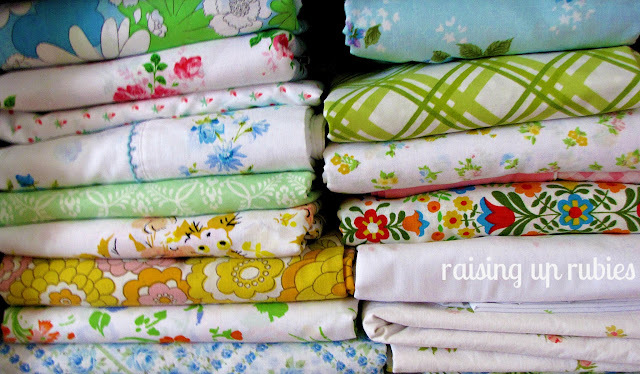 Your vintage fabric stash is OH SO LOVELY! Seriously. I adore this on so many levels. And your new blog is adorable too. Yes, please keep blogging and I'll gladly keep reading! Thanks for stopping by my little blog as well! This is a great craft room! So roomy and organized! Thanks for following my blog, I'm your newest follower! Remarkable place! Very special vision you have there my dear. I vote for felt flowers around the base of the lamp shades. I lost the originals :/ but he's going to whip 'em up for me again...check back soon! What a cute blog you have! I absolutely love your craft room. I'm in the middle of planning a sewing room overhaul of my own, so it's nice to see what you did with yours. I'm enjoying looking through your pinterest boards too and will be following you. So glad to find your blog! Wow, this is just incredible! You are so lucky to have the space, the handy hubby, and the inspiration and craftiness to make a room so beautiful. Enjoy it!!! Amazing space!! 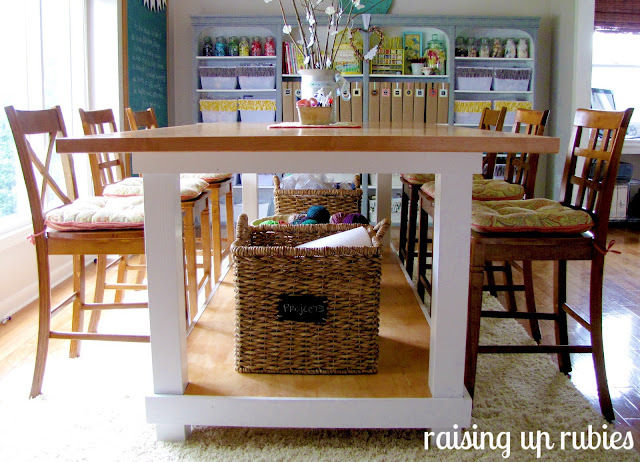 I especially love the center table with the huge baskets for storage underneath -- and all your rainbow-ordered jars with ribbons and notions....and how handy to have the measuring tape laminated into your sewing table top! Genius! Found you through EverythingEtsy.com...I agree with everyone here that this is hands down one of the most amazing craft rooms I have ever seen. You just gave me a TON of inspiration and ideas! Love.It. 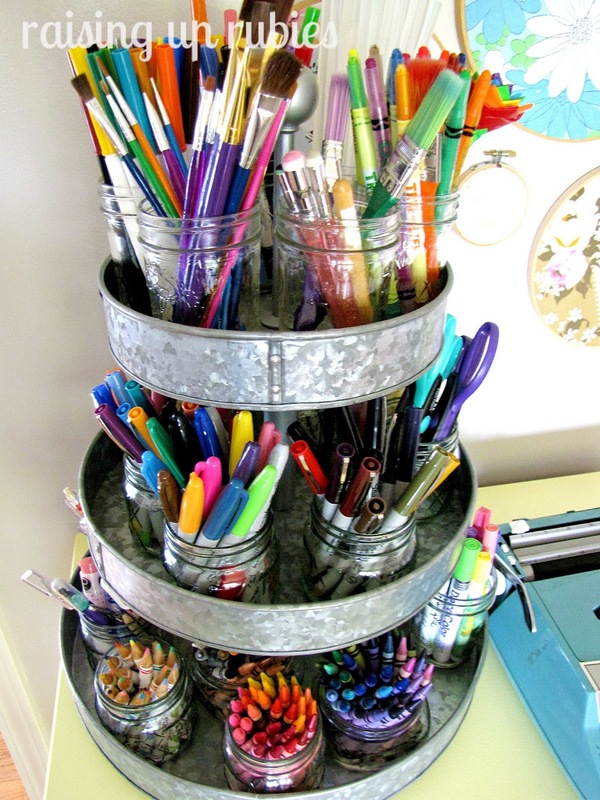 Can you please tell me what you used to make that crayon/pen/paintbrush holder? It's so pretty and looks so useful! Hi Alison :) i'm thinking you mean the metal tiered tray? that happened to be a gift i received from Pottery Barn last summer sometime...but i know there are a bunch of tutorials on Pinterest if you wanted to make your own! fun! Wow, oh wow! This is just one amazing space! It is bright, happy and simply gorgeous! You are one very lucky girl to have such a great space to exercise your creativity! Enjoy! Beautiful! I have seen a lot of crafty spaces, but I think I like this one the best. It is completely functional and not too frilly that I can just get to work. My husband & I just purchased an outdoor building to use for an office/craft room(our home has no extra space). We have to finish the inside and design our personal spaces. I want to have separate stations for sewing & crafting and give my daughter an art station. This room is very close to what I had in mind. Of course mine will be on a smaller scale. Beautiful space! I wish my husband and I had as large and beautiful a space for our craft work. What a gorgeous space! It would be so easy to create in here! 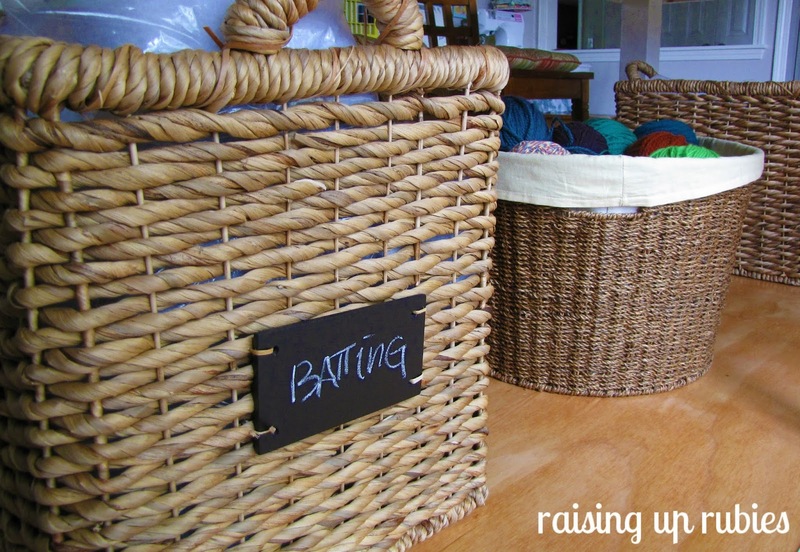 I must ask... where did you find your large baskets? I've been looking for tall square baskets like that for our laundry room redo. thanks ladies again...for all this love! Love love love!!!!!!!!! What a wonderful space!!! Dreamy! I agree with many others, this is by far my favorite craft space! It's amazing. I am green with envy over here. If you would like another place to share your talents, I host a weekly friday to monday linky. Oh my goodness gracious girl!!! I am drooling here!!! This has to be the most amazing craft room EVER!!! Found you over at The 36th Avenue and I'm so glad I did. I'd love for you to link up to my party. Pinning you now! Hope you're having a great week! Hi, Jaime! Looks like your wonderful crafty room was a big hit with everyone! Every little detail you put into it was well worth it... it's perfect!! I posted this on Bella Nest's Facebook page. I'm your newest fan. Please stop by bellanest.blogspot.com any time! It's so great to meet other Christians in blogland. Blessings to you! I am so jealous of your space! You have some great crafting furniture, and I just love all your color and organization! Great great job! Oh my word! So amazing, I'm jealous! You really didn't leave one detail out! Featuring tou morrow during Sticker Time! I love your Craft Room! LOVE LOVE LOVE. what more is there to say? New followers here. We would love for you to pop over and visit. We are new bloggers too! What a dream space! Oh my! oh my gosh - how great is that room! 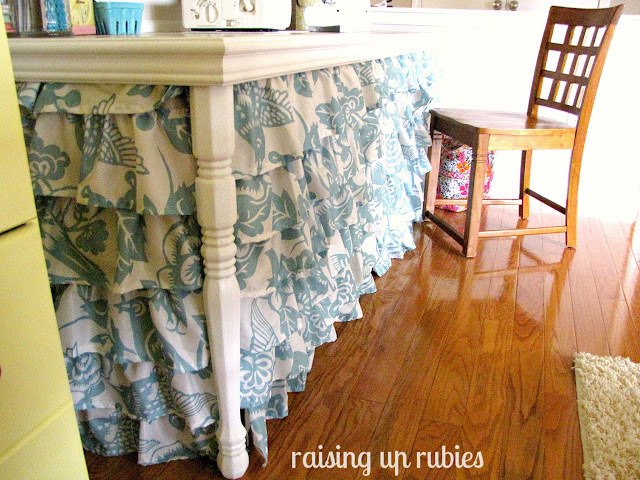 i really love the ruffle skirt on your sewing table. it's all super cute! one of the best I've seen....the table is such a great idea for 2 reasons....sharing the creative juices and it's easier on your back! Thanks for sharing and inspiring. I love the Probverb quote, it's going on my living room chalkboard tomorrow. I'd love to feature your craft room this weekend if it's ok.. please let me know? Thank-you! I posted about your craft room yesterday and how amazing it is. I linked up to your site. I love your crafting space, it is absolutely amazing!!!! Jamie I have never seen a craft room that is so organized, so beautiful and has such wonderful things in it. You are the bomb! This room is amazing! Thank you for sharing your amazing craft room. I have a formal room at the front of the house that we NEVER use. Meanwhile my bedroom is getting taken over with all my craft supplies. 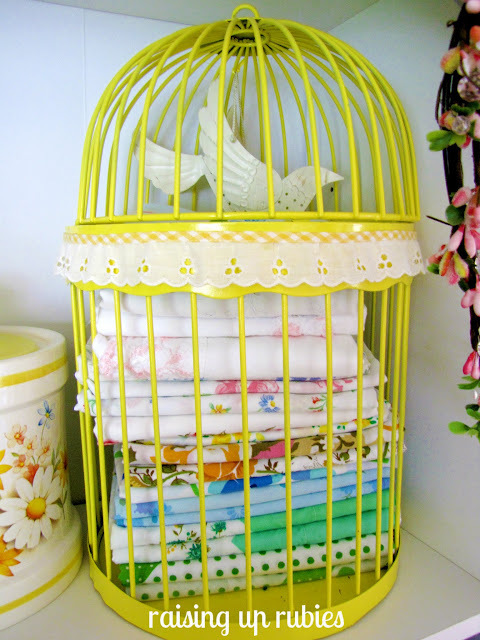 I love so many things in your craft room, but I have to say that the shower curtain from TJ Maxx blew my mind! lol You reminded me that I need to think outside the box and that you can repurpose anything! This space is such an inspiration! Holy WOW! This room is gorgeous and also very inspiring! New follower here for sure! This is the BEST craft room I have ever seen! I just LOVE it!!!!!! I am pretty sure this is what heaven looks like!! I am in love! This room has me giddy, giddy, giddy! I woke my husband up from a snooze to show it to him and to tell him that we were doing something like this---ASAP! 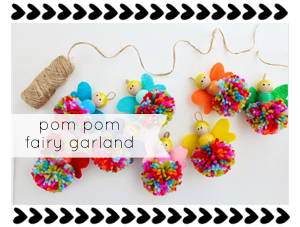 I have a spring in my step with this new inspiration! We measured and sketched and believe it or not, I think we can achieve it by re-purposing and reusing much of what we already have. I can't wait to have a crafting spot for my girls and I that is integrated into my own sewing studio. I think the use of your "Formal Living Room" for this space shows that we all could stand to rethink how we use the rooms in our house to meet our own needs today. Just stumbled on your blog, and WOW I absolutely LOVE this room!!! 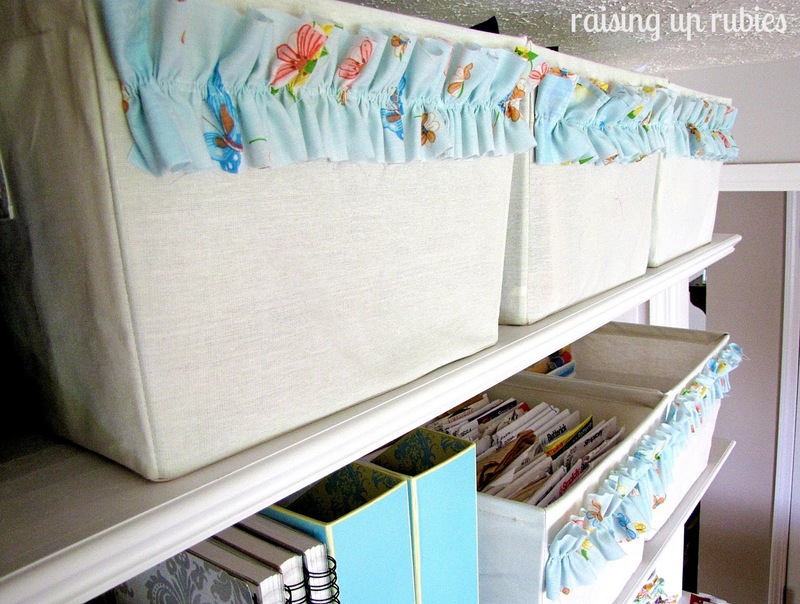 oMG I am so in love with that craft room it is so functional and pretty!!!!! 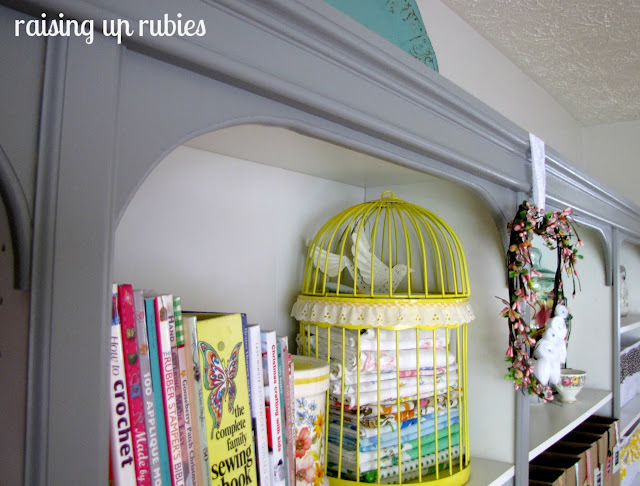 What a lovely room and a lovely blog! I'm your newest follower! Wow, what talent you have! What a lot of hard work went into this creation. I will be pinning this so that someday I am able to recreate it in my own home. Thanks for sharing! Definitely felt flowers on the lamp shades.. This is the best craft room I have ever seen, hands down! I had never thought about having a big table like that for girls' craft nights, but it's such an amazing idea. I can't wait to go see what you have pinned on Pinterest! Thanks so much for sharing your space and for giving us all inspiration. I love this room! i'm curious How were u able to make a chalk board that large? thank you for sharing your room. 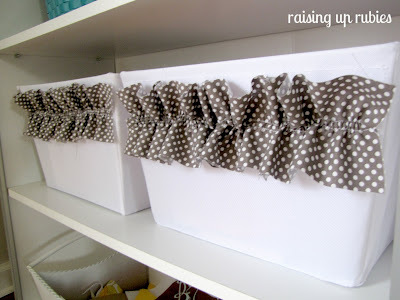 When I get my room, I would love to do the ruffles like u have on your baskets. the chalkboard was actually from a yard sale! can you believe it?? a retired teacher who was having the sale just wanted to get rid of it...she sold it to me for $5.00!! ...that was a super fun day i remember coming home with it in my van to a very surprised look on my hubby's face! haha! (but he should know me by now right??) I'm so glad you came by! What a wonderful room!! Your hubby is a gem and the two of you together are AWESOME! Ya'll turned a boring living room into a crafter's dream. The only thing I would put on your hubby's to do list is to put French Doors looking into this great room!! Enjoy it! I will echo what everyone else has said already that this is an amazing job on a craft room!!!! 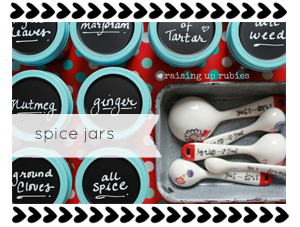 You have such a great eye for adding cute accents without it being overwhelming! I am in awe and will use some of these ideas as I am redoing my craft space. Thanks for such beautiful inspiration! Jaime, I am in the middle of planning and making my version of your sewing table and I can not be more excited! I may not sleep until it is finished! Just found your blog and happened upon your post!! Love love love your room!! What a wonderful place to create it!! Just fabulous. I will be pinning this one to my craft room board, hope it gets you a few more looks!!! Please, please, please tell me where you found that wonderful tri-level metal turntable that you store your drawing paraphernalia on. I love it. Thanks. Hi Gitana ♥ it was from Pottery Barn last summer :) thanks for stopping by! Amazing! It's beautiful! Def. 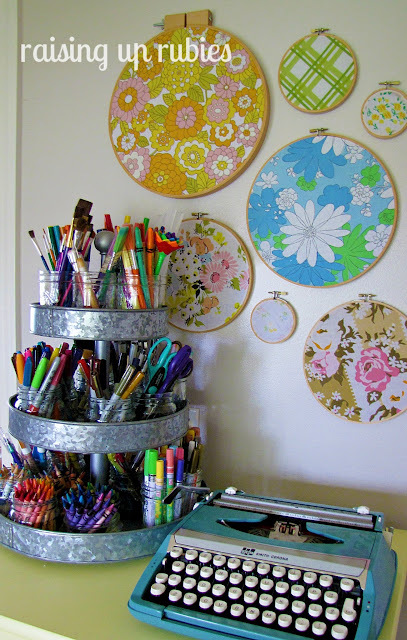 a dream craft room!!! You and your hubby did a awesome job! 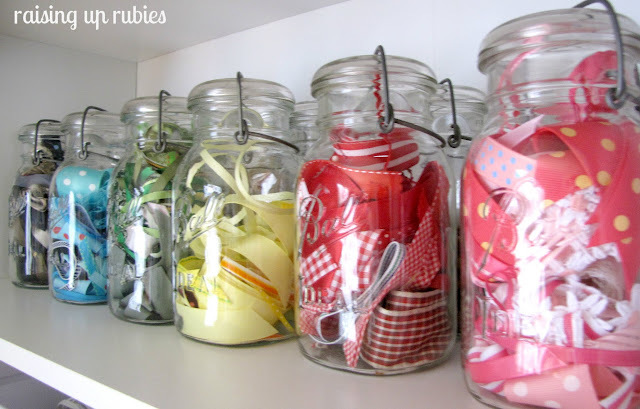 :) Love all the mason jars and the creative idea of adding molding to the bookshelves. SO beautiful! 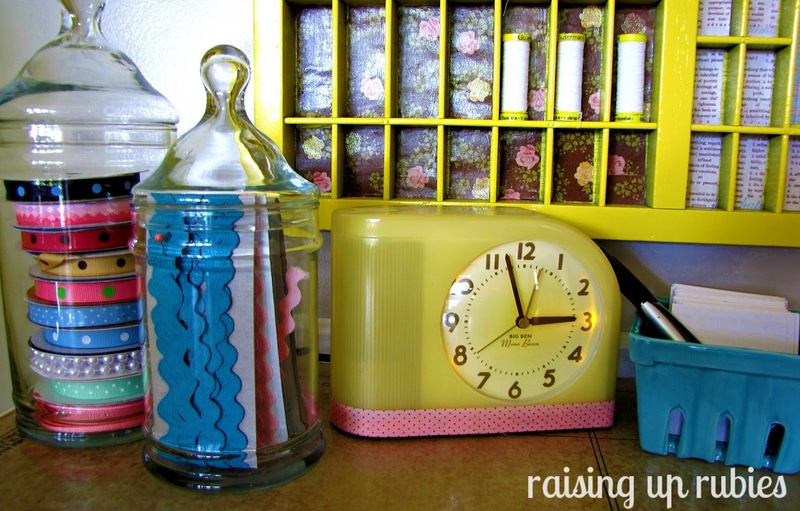 I have the biggest craft room crush now! awwww! thanks Diana...i'm so glad you like my space, thank you for following! and thank you all ladies for the sweet words you've left me with! SHUT THE FRONT DOOR!!!!!! I am sooooooo stinkin' jealous of this room (and your hubby) right now I could die!! I am smack dab in the middle of redoing my craft room and feel so inadequate. Okay this has totally ramped up the idea wheel in my head. I so wish I had somebody to build a table like that for me. What an amazing, amazing, amazing job! Stopping over from Funky Junk!! OH MY GOODNESS!!!!!! You and your hubs have done the most amazing, fantastic and wonderful transformation I have ever seen in my entire life! You both have a lot to be proud of. My hubs built a table for me and was actually going to take over the sun room in our home, but I wound up moving into the guest bedroom. Seeing your post makes me think I should go with the original thought and move everything back out into the main area of the house! Wow! I am utterly speechless! Thank you so much for sharing. I see inspiration everywhere! Hi Jaime! You have the most beautiful crafting space I have ever seen! It must be such a joy for you to work in there. You did a beautiful job of combining your inspiration things into a space uniquely your own. Thank you for sharing all these beautiful photos. 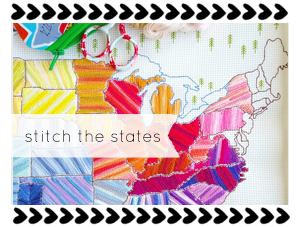 And I just looked at your Etsy shop and realized you're from Rochester- hello neighbor, I'm an upstate NY girl too! 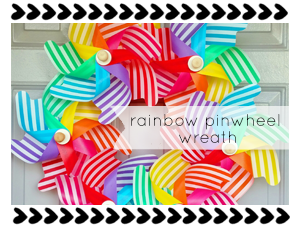 Fun, functional and oh so pretty. Thanks for sharing your beautiful room and providing so much inspiration. I'm sure you will have lots of fun in there. Our 4th upstairs (and smallest) bedroom is my hobby room and while it is small I love creative storage. amazing, amazing and so organized! 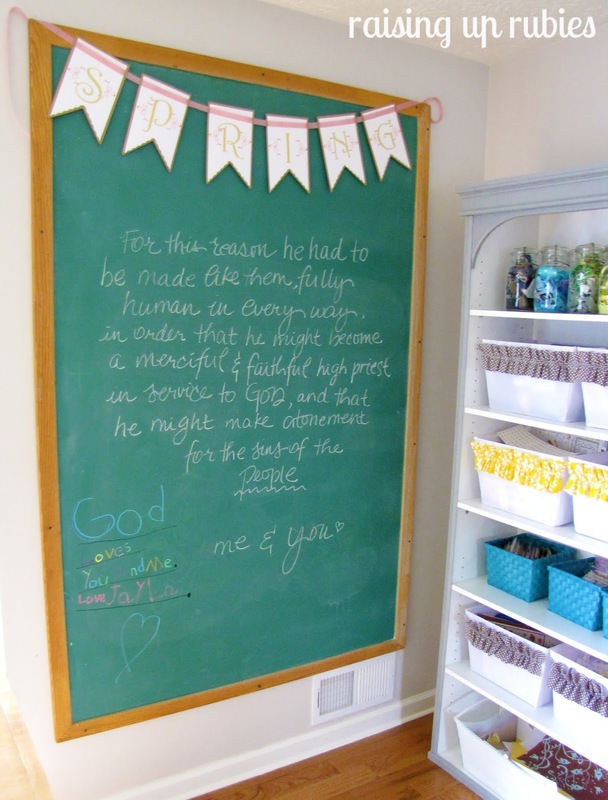 oh how I wish my space looked half as good as this-but someday it will :) I love all the bright colors, chalkboard labels-makes me wanna come do crafts there! great job! A_M-A-Z-I-N-G Room!! You could be snowed in for weeks and have everything you need righ at hand. Where did you find that amazing large table? my hubs & my dad made the table, it's all from their heads :) i described it a little more in detail in the post...the plans for it are also under my "make" page...thanks for stoppin' by! Thank you Lizzy! I'm so glad you like my space! Thanks for sharing your room. It is a great inspiration! I want to recreate your "simple boxes covered in brown paper." Can you share more about how you did them? Did you use a cereal box? What does the opening look like? Beautiful craft room. I'm a new follower, kind of stumbled into your blog, glad that I did. I can't add anything that hasn't already been said-I am now a follower and I am going to pinterest and like your boards. my room is pale in comparison-wish I could wiggle my nose and transport your ideas to my room! thanks for sharing-you are one lucky woman, but you probably already know that. What a great room!! I am so jealous! I am curious about the paper bag covered boxes.. What kind of boxes? And did you just put your supplies in there? any sturdy cereal or cardboard box will do! as long as you can find the amount you need all in the same size :) Target 1$ bins have the cardboard magazine files that can be recovered with your choice of pretty paper (that's exactly what mine look like when you pull them out - magazine files)...the boxes hold my paper stash...hope this helps! I really don't know where to start! There is SO much I love about this room! Just want to scoop it up and take it home with me for my craft room ;) LOVE! And thank you for some inspirations for my in-progress 'woMAN cave." Great craft room!! Where can I get the 3 tiered silver round thing holding your pencils, pens, paint brushes, etc? Love it! What a beautiful craft room!!! I've been planning mine & have been searching and by far this one is the nicest. Love the island in the middle and basket underneath...too bad my 'future room' is too small to have something like that but my search continues. Congrats to your hubby...for a job well done! Thank you for linking to my par-tay Jamie! It was my pleasure to feature you today in my Fabulous Friday Favorites. Please feel free to take an "I Was Featured" button & I hope you'll come back again next Friday! OMG!! 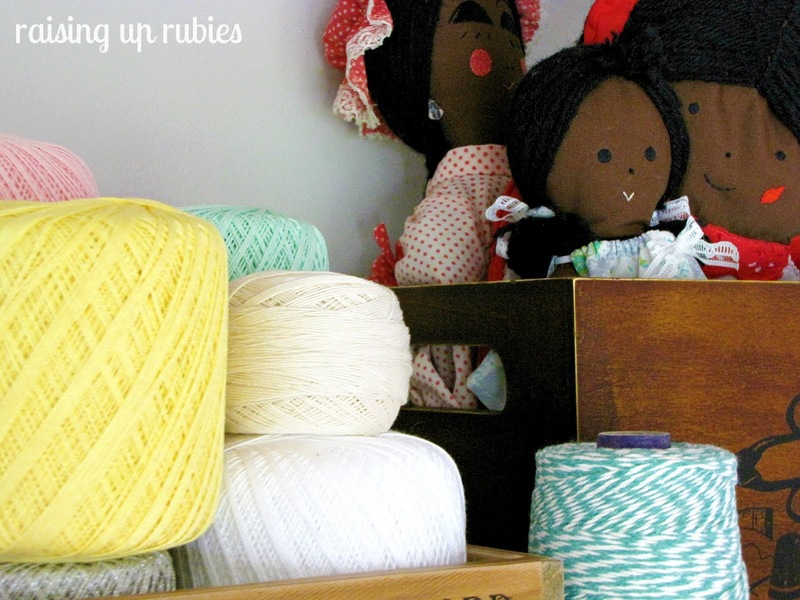 Your craft room is AMAZING!!!! 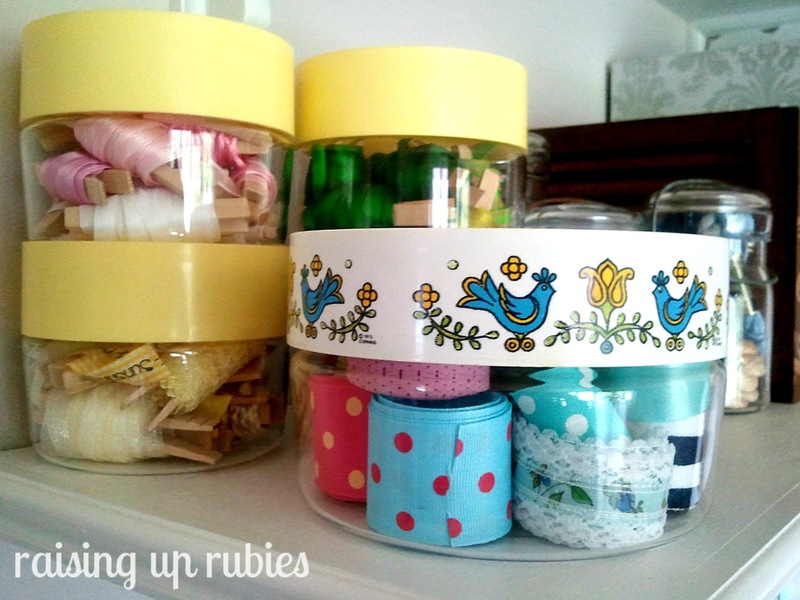 LOVE the type case and the ribbon jars and your sewing table, I love it all. Drool. :P.. Haha. Your lucky to have such a helpful hubby. He did a fabulous job. 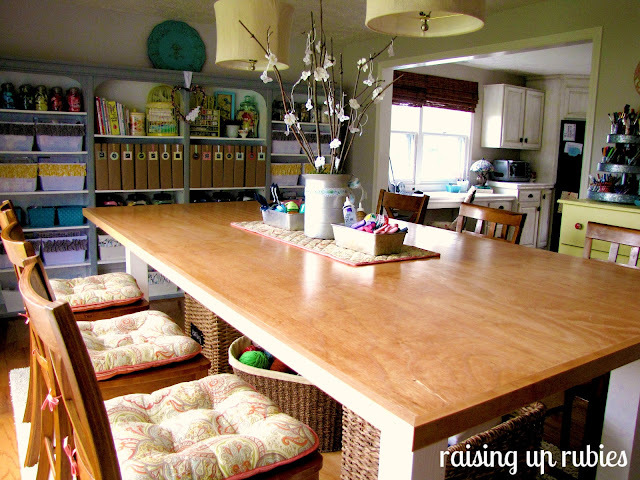 This just might be the cutest and most functional craft space that I've ever seen! Enjoy every moment in this fabulous space! Oh my goodness this is amazing!! I'm so inspired just looking at this gorgeous room. SO functional, organized and gorgeous. Just saw this featured on I Heart Naptime. EEEEEKKK! Totaly EEEEEKKK! LOVE IT! 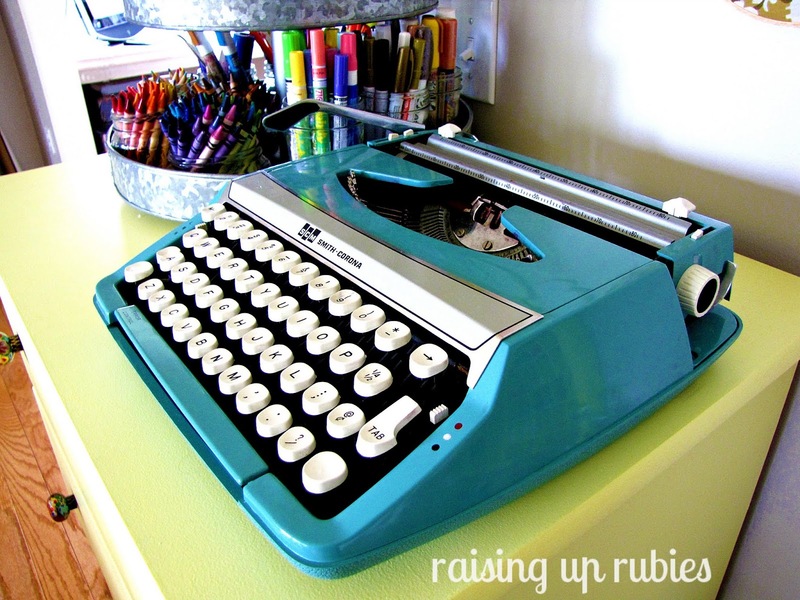 I LOVE the updated & fabbed out Tar-jay bookshelves, but my fave idea is writing Prov. 31 on your craft table! You have given me serious craft room envy!! Just found your blog and love the idea of adding the pattern piece on your table. I like your basket ideas also. Great job. Thanks for sharing. oops, I hit return too soon ... and INSPIRED! Thank you for sharing this amazing room with us! This is truly the coolest craft room ever and I WISH it was mine!!! You and your hubby are both very talented! So happy I found you through Amy's blog (Mod Podge Rocks). I am a forever fan and follower! Your room is charming and has such a consistent retro vision. You are lucky to have such a skilled hubby! Beautiful! Ya, that doesn't work for my laptop- sad face! I was seriously searching all over the web to try to get it to work, then I randomly highlighted and copied a heart and pasted and it totally worked! haha!! All that searching too.. goodness.. And I totally copycatted your pinterest board hearts idea hehe :) Your pinterest collections are awesome! I've been going through them for days! Great ideas! Oh my gosh! 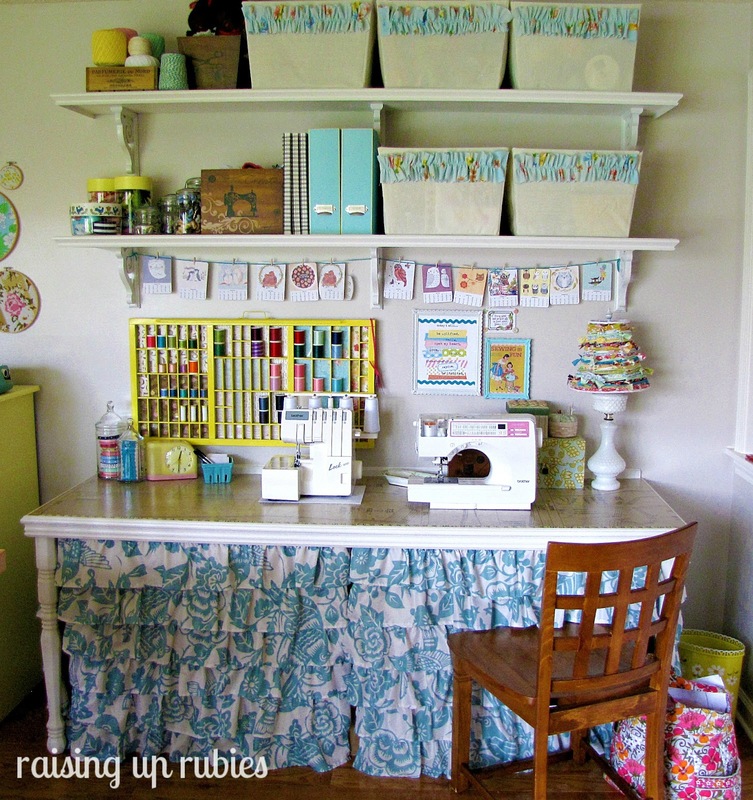 What a gorgeous craft room!!!! I just love that sewing table and your big work table! Everything is so beautifully organized and color coordinated! You are sooo talented!! Thank you for all the wonderful ideas, I'm sure I will be using some! You should design craft rooms for people. Thank you for sharing your beautiful photos. Wow. 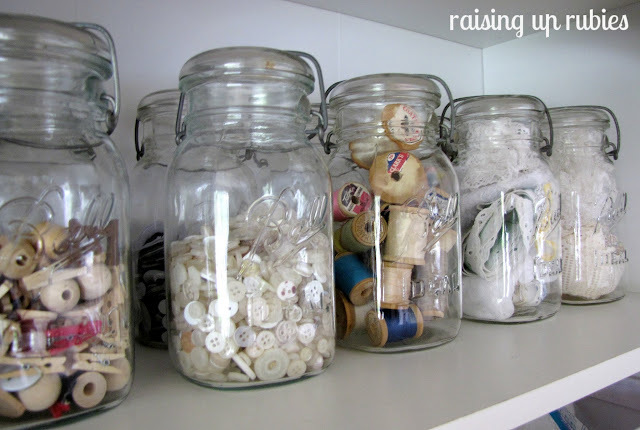 My craft room which is in reno mode right now is going to be about 1/10th the size of yours....how am I going to fit all of the new great ideas that are buzzing through my head now, into it?? I love this space. I've pinned it to dream over and possibly try some stuff later :) Thanks for sharing. Oh my glory! Girl... can I come live in your craft room??? Makes mine look like a cracker jack box :) Fabulous space for fabulous inspiration!! HUGS!!! Do you have any more info on how you made the bookcase. Did you make your own arches or can you buy them? I'm not sure if you could buy arches? we did make them, using one inch pine board... my hubby traced the arch shape onto the wood using a paper template (that we drew) then he cut it out with a jigsaw... the wood was measured to fit the inside of the bookcase, so whatever your measurements are you could apply it to your lumber ... hope this helps! Waouh j'aime beaucoup !! Magnifique !!! This is the best craft room EVER!! 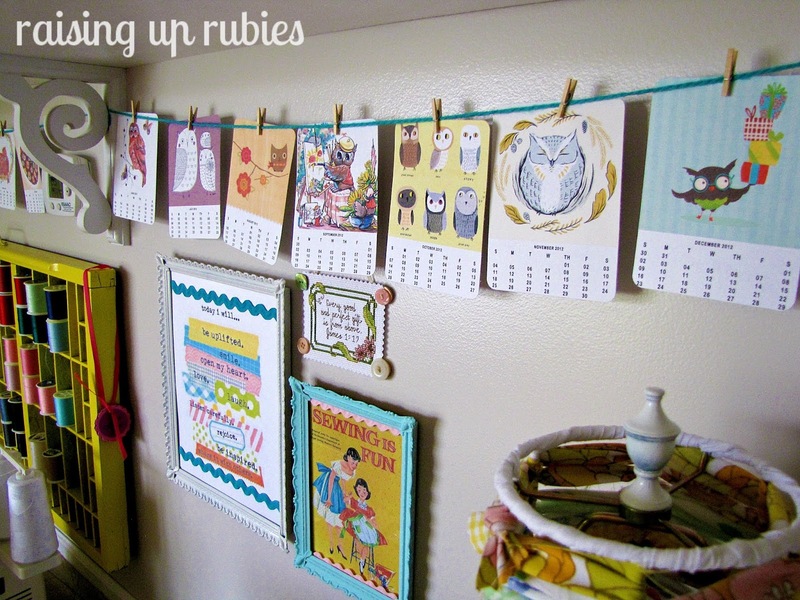 I don't have a space this big but I will definitely use some of these ideas in the space I have! It would be so much fun to have a big island like that for friend to come over and work on projects! Love, love, love your space! I absolutely positively LOVE your craft room. Wish I could have one like that here, but there just isn't the space. I do have some suggestions for window treatments though. First you mentioned that you want to keep the light but have some privacy. The first thought that comes to mind would be sheers, for a more updated look perhaps you could use cheesecloth, a fine tulle, or gauze-like fabric. Another option would be to use something like Gallery Glass Clear Frost, or something else what will give the window a texture. There is an old standby of textured clear contact paper placed on the window, which works extremely well for privacy in the bathroom. I love your space!! I wish I could have something as awesome as this. 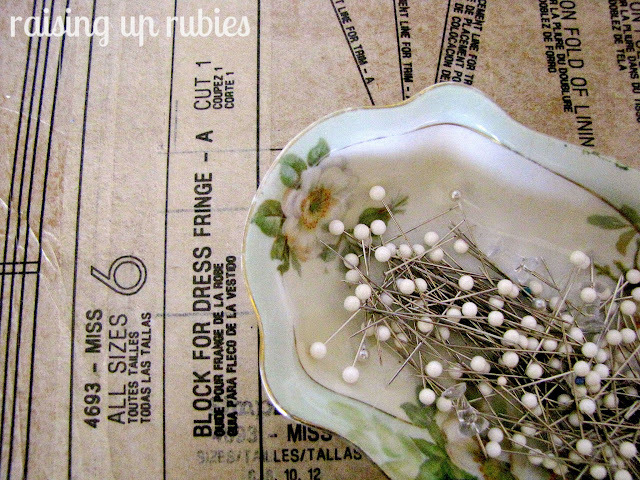 What is the dimensions of your sewing table? I'm making one myself and I'm totally stealing the idea of using a pattern modpodged onto the top!.